J.R.R. Tolkien fans will love this endearing story from Letters of Note about a series of letters and cards he wrote to his young children, posing as Father Christmas. How cool would it be to get personalized Christmas cards from J.R.R. Tolkien? The Daily Beast gets to the heart of the matter on our enduring fascination with Jane Austen. Thanks to EneryVibes for bringing it to our attention. Room to Read reports on Cambodia’s development of nationwide library standards for its schools, a radical improvement in the educational system for this developing nation. Remember Beverly Cleary? At 95 she’s alive and kickin’. Enjoy this recent interview with the author and creator of Ramona Quimby in The Atlantic. And lastly I offer to you this video of comedienne Kristen Wiig reading the poetry of Suzanne Somers (yes, that Suzanne Somers), simply because I can. You’re welcome. Many thanks to Leesa’s Stories for bringing it to our attention. 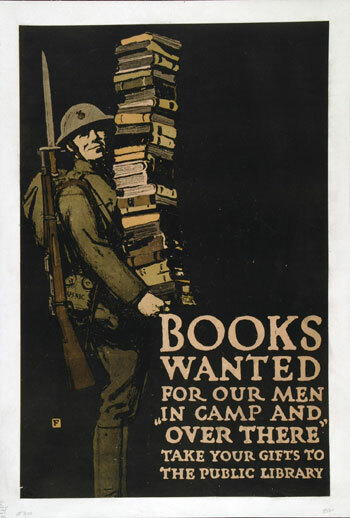 A vintage WWI poster promoting book donations for our soldiers. Photo courtesy of E-Books for Troops. One of the most common questions I’m asked when talking to book lovers about GoneReading is “How can I donate my books for charity?” I have a variety of typical responses depending on each person’s situation, but just this week I stumbled across some terrific new options. With Independence Day upon us here in the United States, these programs seem particularly fitting: How To Share Books With Our Troops Overseas, courtesy of the folks at GalleyCat, highlights several programs for you to consider. As you will see, you can help our troops read more by sending your used books, buying new books for yourself through charitable partners, donating your used Kindle, donating cash and more. So enjoy your Fourth of July weekend, and try to help bring the joy of reading to these dedicated men and women while they serve apart from their families. P.S. 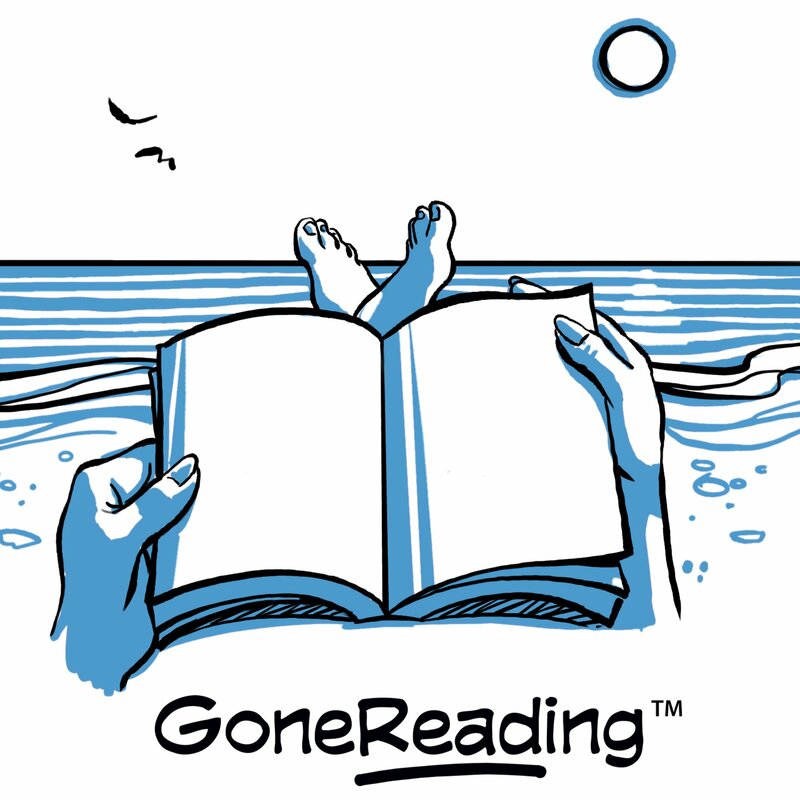 If you enjoyed this little post, please flatter us by subscribing to The GoneReading Blog via email or RSS Feed. Doing so plays a big role in supporting our philanthropic mission!